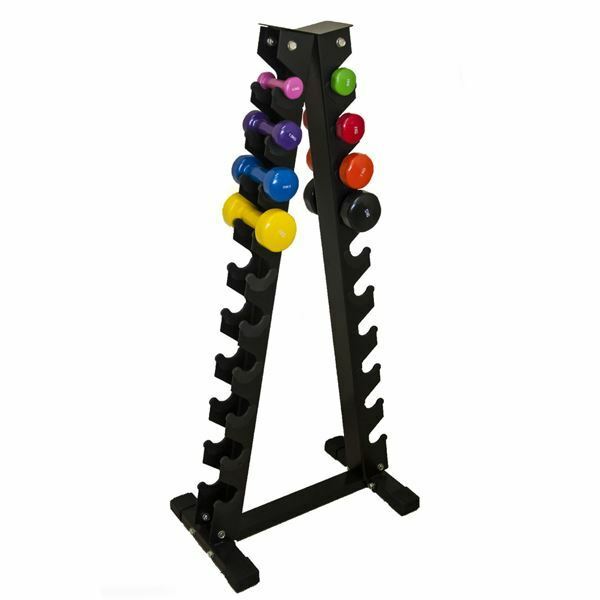 A-Frame Dumbbell stand is the perfect addition to any home gym or practice. Constructed from heavy-gauge steel, it holds up 10 pair of Dumbbells. Rack stand is shipped as a flat pack, some light assembly is required. Note: Stand does not include dumbbells, these are available for separate purchase.